This may be the best TARDIS item to come along since the TARDIS cookie jar. 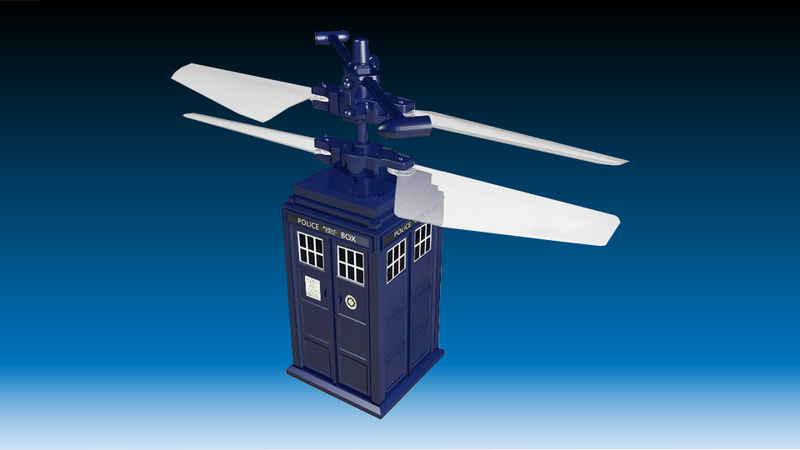 This TARDIS copter actually flies via remote control and is available now from BigBadToyStore and Entertainment Earth. Your dreams of swooping over your officemate’s heads with a TARDIS will be fulfilled in July when the Flying TARDIS is scheduled to ship.